Dayton Accords Defined the Past Not the Future? 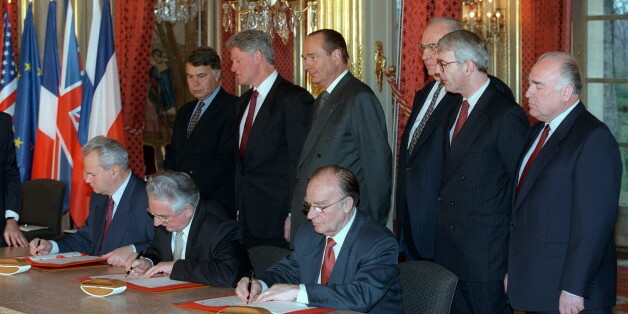 Two decades after the Dayton Accords, the question is not about what happened during the three weeks of negotiations, but why is Bosnia & Herzegovina ("BiH") still defined by and stuck in that period and the conflict that it ended. As nationalism may seduce the masses, so may vanity have the same effect upon individual diplomats engaged in conflict resolution. While some may debate what strategic interests, conspiracies or prejudices are at play in motivating policy, too frequently it may be the egos of the personalities involved. Last week I was able to view a handful of the 81 films from 25 countries, at the five-day long AFI Docs festival that attracted filmmakers, national policy and opinion leaders, journalists and a large crowd of viewers to the 13th annual running of the event in the Washington DC area. Some memoirs concentrate on self-promotion and score-settling, but Hill avoids the former and mostly eschews the latter. He focuses instead on the on-the-ground work of the diplomat, which may entail dangerous forays far beyond embassy walls. What comes through with exceptional clarity in this book is Hill's concept of service. Construction According to Putin's Model, from Bosnia to Europe? The scent of nationalism was present in the former-Yugoslavia before Vladimir Putin effectively assumed power in Moscow. Already during the early stages of the conflict in Bosnia & Herzegovina, "BiH" solutions were being fashioned in the hope of, well appeasing is perhaps an appropriate term, those leaders in the region but also Moscow who saw feudal nationalism as the vehicle to replace authoritarian communism. The News Sorority is a dish fest -- if you care what Katie and Diane and Christiane are really like, for God's sake do not start reading on a Friday night, because you'll miss Bill Maher and may just be finishing when John Oliver comes on. Every year we commemorate the genocide, we expect that those who betrayed Srebrenica might this time ask for forgiveness from the survivors. 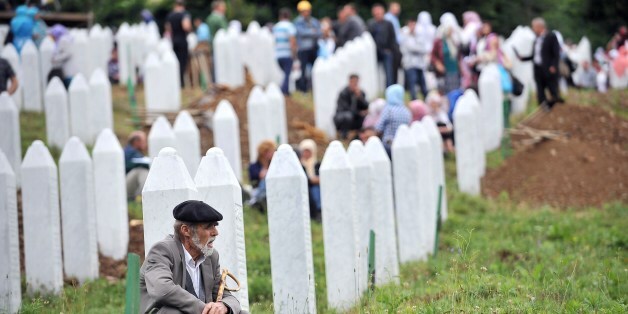 Instead, much of Europe appears inclined to forget Srebrenica and punish all Bosnian & Herzegovinians ("BiH") for reminding it of its collective failure to prevent the genocide. Sarajevo 1914 and New York City 2001: Is It Happening Again? Sarajevo 1914 does not appear so distant, at least in terms of rhetoric and inclination to dehumanize the other. But, then perhaps our awareness has been raised to the danger. Natasha Srdoc, who has done stints in international banking, the think tank world, and politics, is a firm believer in free market capitalism. She doesn't think what took place in former Yugoslavia comes anywhere close to her understanding of how capitalism works. I am concerned not only for the safety of our diplomatic corps, but also from the growing perception that they are not a priority concern. Right now we are busily chopping the Pentagon's budget, which in my view is long overdue, but at the same time we need to beef up our diplomatic budget. In the annals of U.S. foreign policy, Afghanistan stands as a typical case where a flawed military strategy has sidelined viable political solutions. Washington incentivized war through perks and privileges, and four-star promotions and undermined peace efforts. The U.S. has had a war strategy, but no political strategy or a clear exit strategy. The Srebrenica genocide was a dark chapter in an already nasty Balkan conflict. One group committed ethnic cleansing against another, as a largely passive international community helplessly, and needlessly, watched it from the sidelines. From the massacre of all its defenders, "Remember the Alamo" became the call to victory. Executing all the defenders of Srebrenica and expelling all its Bosniak residents was the tactic that was intended to also wipe away all of Bosnia & Herzegovina. Samantha Power -- Idealist or Ambassador? The question that I have been asked is: Will Samantha Power be more inclined toward her idealist roots or the vast policy/political apparatus? Foreign policy writing is not meant to be passionate. Perhaps for just that reason, in foreign affairs big personalities can look even bigger, and passion is spoken of in code phrases like "political will." Richard Holbrooke was one of those big personalities. Lady Thatcher invited me to her home as the Special Envoy as well as BiH UN Ambassador. The home, conversation, and the tea served was what one would expect: neat, direct, and English. The Holbrooke/Obama controversy is heating up again. One of Holbrooke's closest advisors, Vali Nasr, claims that Holbrooke tried to convince President Obama that the best solution to the Afghan conflict was to seek a diplomatic solution even while waging war. One false way to convince "people" the world over (including in our very own USA) that you're "doing something" when you actually have nothing to do/decide upon, is to be "on the move," with the complacent media, eager for any story, "reporting" on your "new initiative." Today, American public diplomacy, once implemented by an independent and very imperfect agency, is hidden away at the regulations-driven State Department, some would say like a coffin at a funeral home, despite the good intentions of the Under Secretary of State for Public Diplomacy and Public Affairs. Let us add our voices to Malala's voice and fight this hypocritical madness. This is a crime against humanity and Muslims must come together from every corner of the world and set the record straight. Could Mitt Romney Pull a Truman and Recognize State of Palestine? One wonders today whether Romney will ignore or listen to generals today -- all of whom agree that establishing and recognizing a state of Palestine is vital to U.S. national security and to defending Israel's long-term security in the region. Why does the State Department consistently make poor decisions? Everyone makes mistakes, but what we have here is a long, long litany of obvious bad decisions, so obviously bad one cannot help but wonder how smart people made them.